What can Non-Medical Home Care Do for your Family? 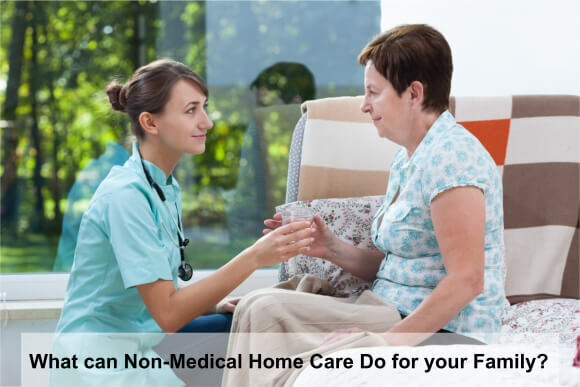 OptimumCare Home Care Services – your source for non-medical home care in Opitz Boulevard Woodbridge VA and non-medical home care in Greensboro Drive McLean, VA.
Let us present to you some of the services we offer in order to give you a short background on what non-medical home cares do. Before any intervention or care is provided, a general assessment and evaluation is always the first step. This is done to give the caregivers a background on the client’s overall health and abilities so that a proper plan of care can be made. For example, does the client have poor balance? Does he need assistance in donning and doffing clothes? Is he at high risk for falls? These are only some of the questions that need to be opened up during the process of planning. Another great thing about this is during the whole process, the health care providers assume a collaborative attitude with the family members so that they can come up with the best individualized plan suited to the needs of the patient. Whether it is a quick chat or a half-day accompaniment to the grocery store, clients have all the reasons to ask for a companion service at OptimumCare Home Care Services. We see to it that our companion aides are always available when our clients call for companionship. This service does not only help the clients with their tasks, it also provides some emotional boost by having someone at their sides when they need it. Not all clients are the same. Some require little assistance while others need a constant guide 24/7. At OptimumCare Home Care Services, we offer a live-in home care wherein a caregiver stays at the client’s home the whole day in order to provide optimum protection, care and guidance. This is especially convenient if you’re somewhere near Opitz Boulevard Woodbridge and Greensboro Drive McLean, VA where our offices are situated. We’re just one call away if ever you need round-the-clock security and assistance for your loved one. We all know that the older we get, the more susceptible we are in acquiring numerous health conditions. This is why our elderly loved ones should always be monitored, supervised and guided all the time to avoid unwanted events from occurring. Such monitoring and supervision is one of the services we offer at OptimumCare Home Care Services to make sure your loved one is safe and secure whenever he or she is with us. As we’ve mentioned earlier, housekeeping is one of the services offered by non-medical home cares. OptimumCare Home Care Services helps your loved ones perform their daily housekeeping such as cleaning the dishes, doing the laundry and plant-watering. Not only do we keep our clients well-cared, we also keep their homes clean, tidy, and in order.